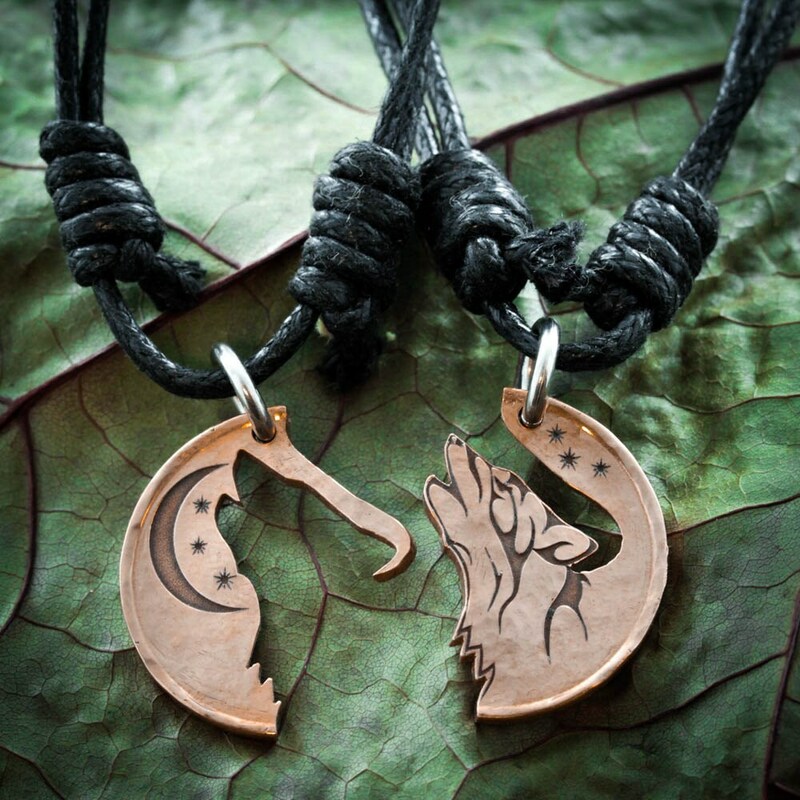 These Copper Wolf necklaces form a pair that fits together perfectly. This etched to provide the details, then cut by hand to come apart. 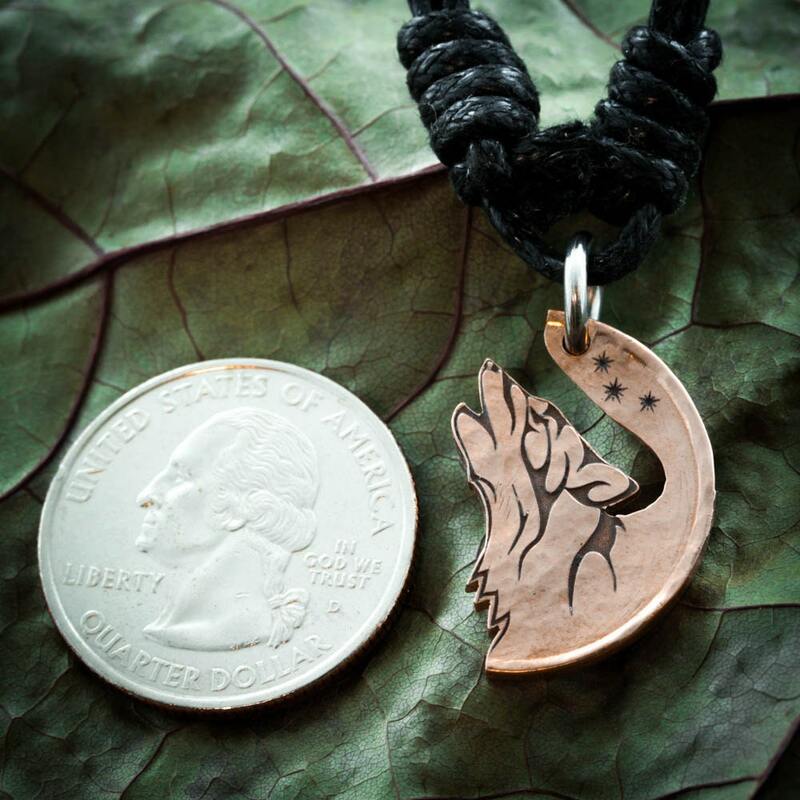 You get two necklaces showing the howling wolf. 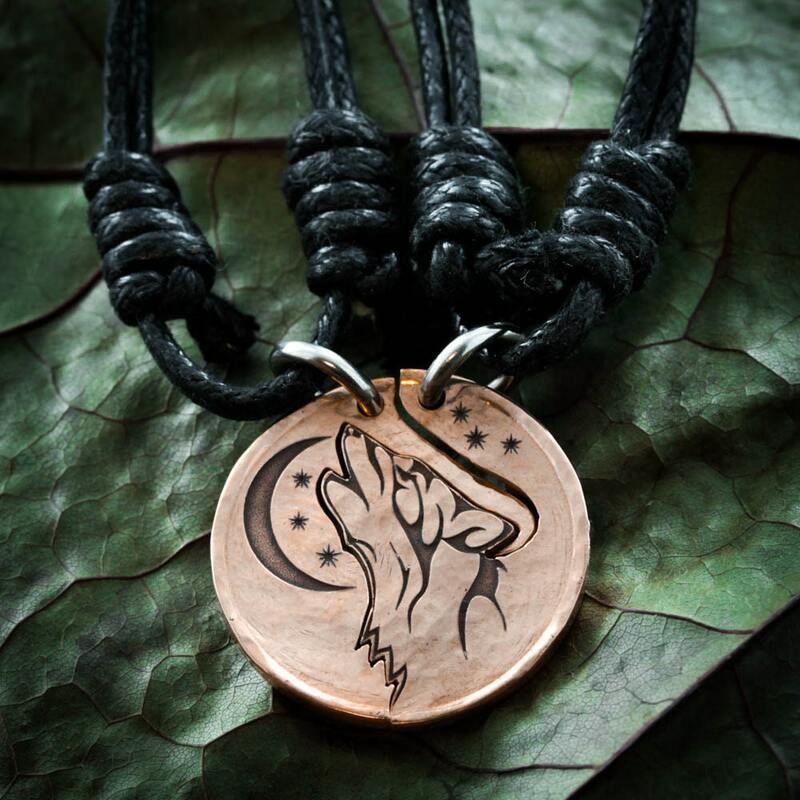 This is cut by hand and comes with two high quality black leather rope necklaces, stainless steel chains, or key chains. This can be made from an English half penny, (which is similar in size to a US quarter), or a US penny that has been burnished and hammered to make gentle waves on the copper coin. 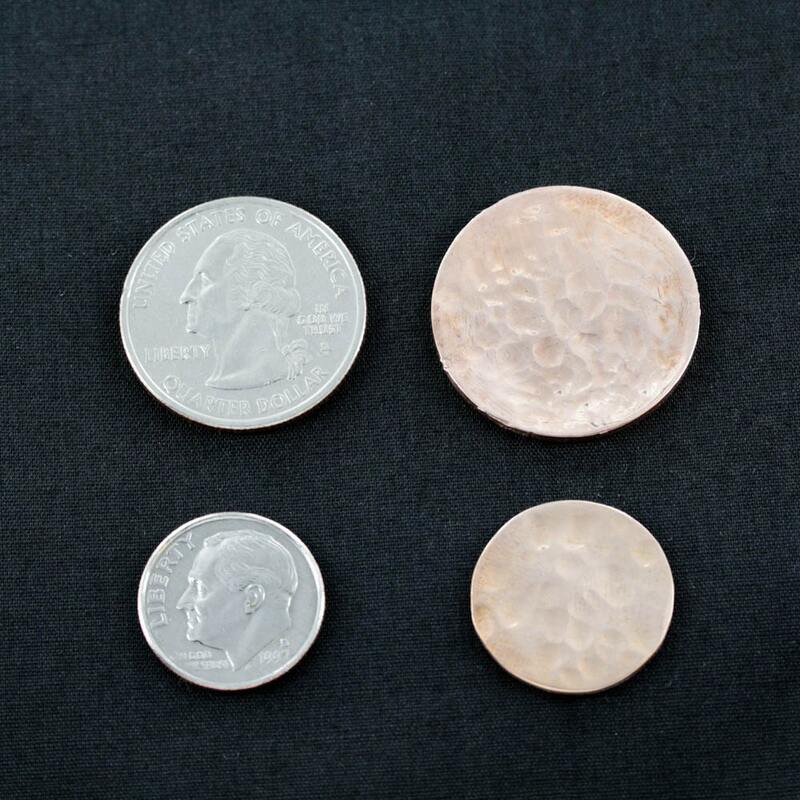 Please know that the US penny will make two rather small necklaces. If you would like a black cord for the guy and a chain for the girl, please let us know in your order comments. Guys usually love the black cords and the thick chains and girls usually prefer the thinner chains. literally perfect. best friend loved it. Brown on coin fades a bit.